After being introduced to The Way Ministry in 1974, I learned a little about its great believing heritage and met some of the believers who stood faithfully to build the ministry we enjoy today. I noticed they were undeterred by circumstance to see the will of God come to pass. They were steadfast, unmovable, and they abounded in the work of the Lord. I desired to serve God, and their rich example of faithful service was one I wanted to follow. As we live our lives in service to the glory of God, God’s Word provides an overall scope for living to our fullest for Him today. In the context of some spectacular details about the return of Christ in I Corinthians 15, God gives an encouraging commandment for every believer who desires to stand faithfully for Him. God exhorts us to be steadfast, unmovable, and always abounding in the work of the Lord. He follows this loving command by telling us that our work in the Lord is not in vain or valueless. How can we live up to this loving encouragement to us? In Jeremiah 17, a mature tree abounding in fruitfulness beautifully illustrates what our lives are like as we are steadfast, unmovable, and rooted in God’s Word. From this, we begin to see qualities that are needed to cultivate lives that are strong, faithful, and abounding on God’s Word. For he shall be as a tree planted by the waters, and that spreadeth out her roots by the river, and shall not see when heat cometh, but her leaf shall be green; and shall not be careful [anxious] in the year of drought, neither shall cease from yielding fruit. This illustration of a tree planted by the waters, spreading out her roots, and flourishing without anxiety paints the mental picture of what blessings are available to us as we are rooted and nourished in God’s Word. Being deliberately planted in a favorable location and having a well-watered and growing root system are vital to the life and fruitfulness of a tree. Well-developed roots in God’s Word are an important key to abound in quality of life and to be steadfast and unmovable as we carry out the work of the Lord. Having strong roots in God’s Word yields a lifetime of fruitful living. When our roots spread out in God’s Word, we are nourished to flourish. Let’s begin exploring the purpose of roots so that we may add to our vitality of life. Roots are the anchoring organs of trees. In addition to holding the tree in place, roots also absorb water and minerals through tiny structures called root hairs. From the roots the water and mineral nutrients are carried upward through the wood cells to the leaves. Roots do not grow to their fullest extent overnight, but they do grow constantly. Some of the oldest and largest living things on earth are the sequoia trees found in California. The General Sherman Tree, located in the Sequoia National Park, is the world’s largest tree in wood volume. It is estimated to be between 2,200 and 2,500 years old and is about 275 feet tall. 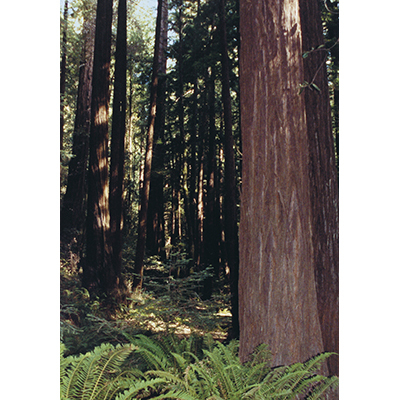 The roots of a sequoia may cover over an acre of land, providing balance as it grows tall. What an example of roots that have spread out! Having an extensive root system is one factor that contributes to the great height and longevity of these trees. Very few things seem able to end the life of these giants. Strong winds pose one threat of uprooting the trees, but the sequoias naturally grow in groves, minimizing the effects of the wind. They stand together, so they are not blown over. Like the sequoias, we can spread out our roots and stand together on God’s Word, minimizing the impact of every wind of doctrine that is contrary to the rightly divided Word. As we absorb the strength of right doctrine in our heart from rightly dividing God’s Word, we build understanding to rightly live God’s Word. As we rightly live God’s Word, we desire to speak it forth in love so that others may benefit too. This is what it takes to have vitality in our lives today. We receive the Word’s strength, retain its usefulness, and release its goodness. Our roots in God’s Word hold us unmovable on the truth in heart and living. We can grow a root system that is strong and well-nourished. God’s Word provides the rich nutrients of truth we need to be unmovable, abounding, and fruitful our entire life. God’s Word is the stability of our times at all times. The parable of the sower and the seed gives tremendous insight into developing a strong root system in the Word. This parable is recorded in not one, but three books of the Bible: Matthew, Mark, and Luke. One question we can ask ourselves as we read these records is, how good and fertile do we want the ground of our own heart to be? The more fertile the ground, the more the roots can spread out. We determine how receptive, tender, or fertile our heart will be toward God’s Word by our meekness and believing…. This is an excerpt from the November/December 2005 issue of The Way Magazine.